We all have our favourite places in which we can walk, ponder life, play in, express ourselves in or places that trigger certain memories. I am now settling in to my new life in the Cotswolds (I have just started a postgraduate course in agriculture at the Royal Agricultural University in Cirencester), a place that will surely become one of my favourites. However, I thought it right in this post to reflect on the place that has been my life for the past 14 months or so – the Naze in Essex. The Naze is the most easterly peninsula in Essex and is an important place for me for many reasons. I have been lucky enough to have been the Education Ranger for Essex Wildlife Trust at the site since August 2014, leaving last week to begin my studies out west. 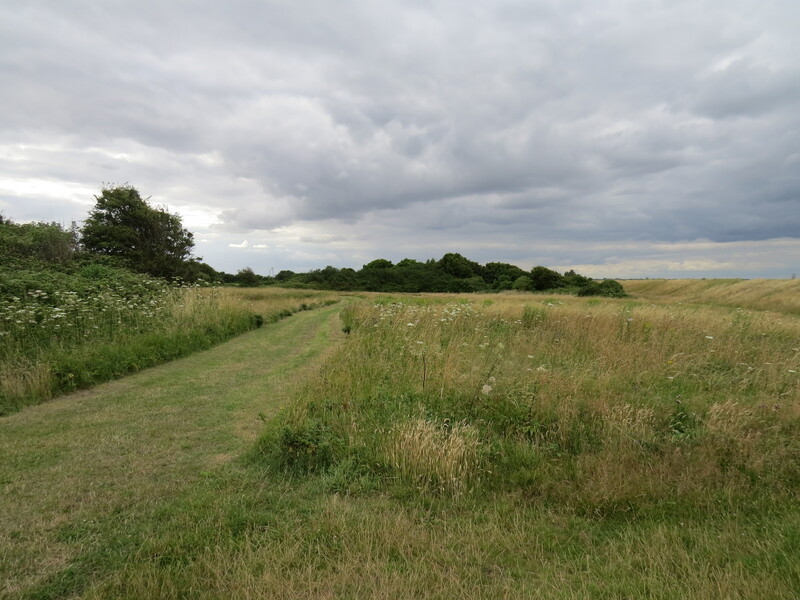 In August I published a book outlining the environmental history of the Naze and its links with the town of Walton-on-the-Naze. 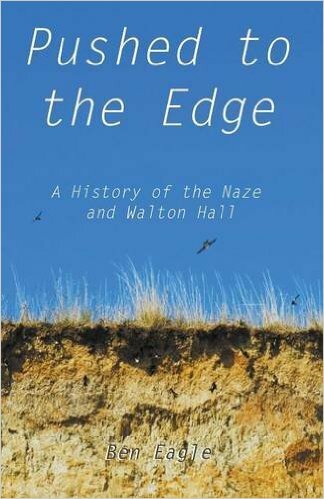 The book, titled ‘Pushed to the Edge: A History of the Naze and Walton Hall’ has been a work in progress for many years but now seemed the right time to put it out in the open, indeed a turning point but one that I look back on with great fondness. The Naze is a unique coastal landscape of tremendous geological and biological importance. 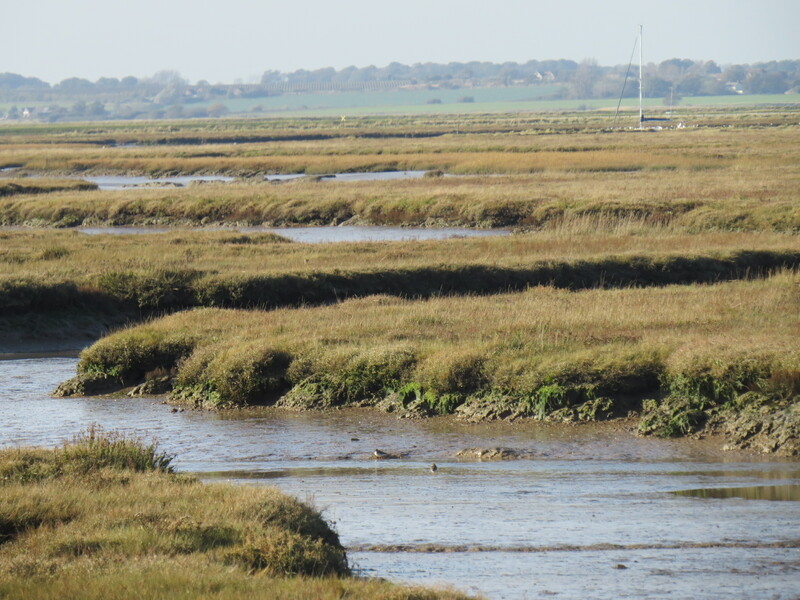 It is a peninsula with the North Sea on its eastern coast and Hamford Water National Nature Reserve, an embayment of over 2000 hectares consisting of saltings, mudflats and islands, on its western coast. 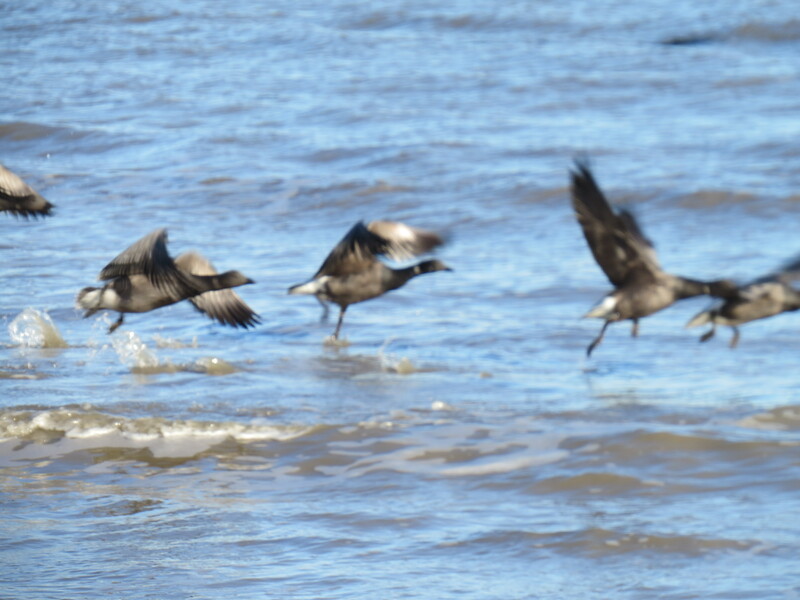 It is a place where the wildlife on offer is outstanding. Sand Martins can be seen nesting in the cliff in the summer months, the rare Fisher’s Estuarine Moth and Sea Hogs Fennel can be found as well as a whole host of migratory and resident birds including Dark Bellied Brent Geese, Sedge and Reed Warblers, Sanderling, Curlew, Redshank, Oystercatcher, Avocet, Cormorant, Grey Heron, Kingfisher, Marsh and Hen Harrier…the list is near endless. 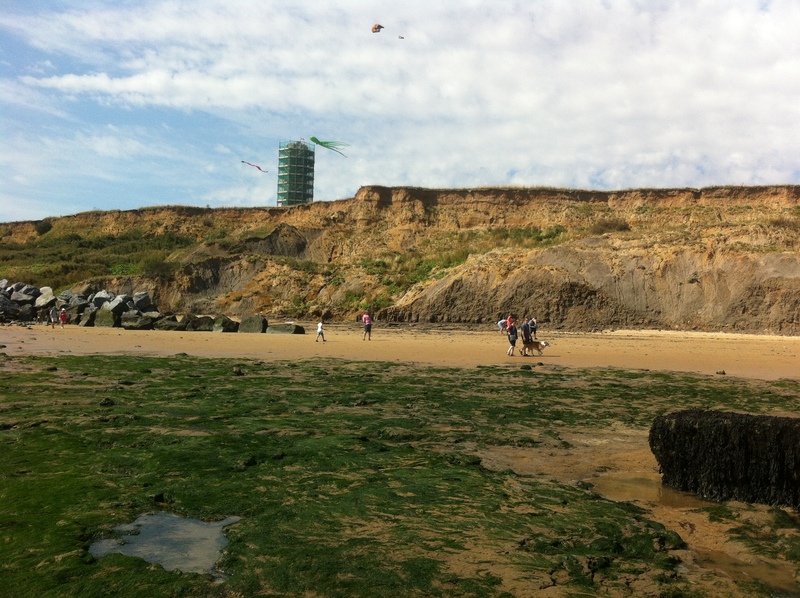 From a geological point of view the Naze is about 50 million years old and is a place where the geological platform of Essex can be relatively easily understood, making it a superb location from an educational point of view. 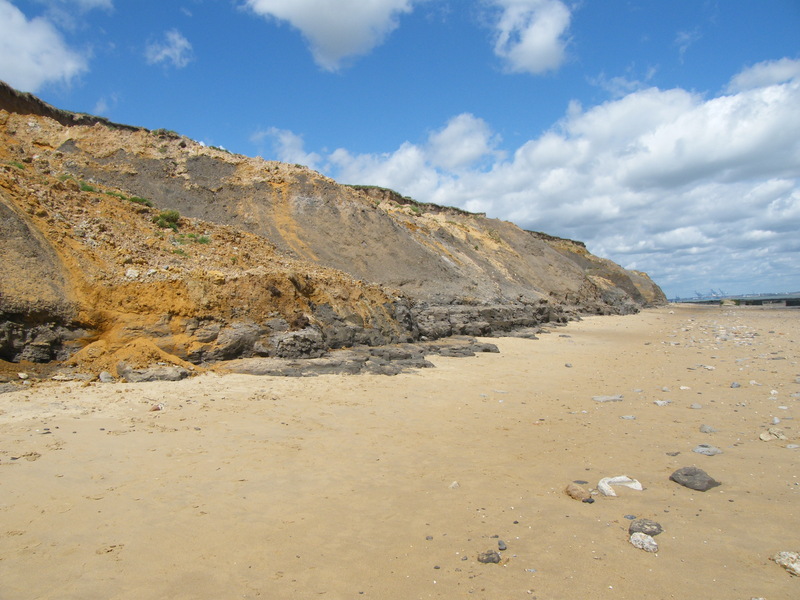 The erosion rate of the Red Crag and London Clay cliff is about 1-2 metres per year, although this can fluctuate and as much as 3 metres can erode in any one year, particularly on the northern edge of the headland. This rapid erosion makes the place fascinating from an historical point of view due to the works that humans have carried on to make sure the land is usable. 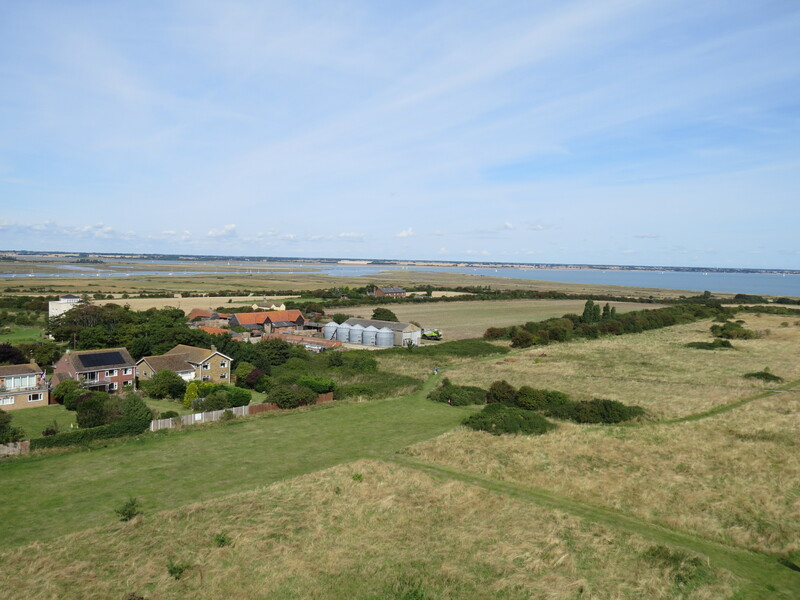 The headland has had multiple land uses over the years, predominately agricultural but also including a golf course, a public open space and a nature reserve. The stunning, 84 foot Naze Tower, which is accessible and open to the public is a spectacular feature on an otherwise flat landscape and the view from the top rivals many of the best views in Essex (I may be biased but many people tell me the same thing!). If you would like to buy my book it can be purchased on amazon. You can also hear me speak about the Naze and my book in an interview with Tony Fisher from BBC Radio Essex, still available on the BBC Iplayer (starts at 3hrs 16mins 25 secs). I was also lucky enough to be interviewed for an episode of BBC Radio 4’s Open Country, broadcast last month, available here. Essex Wildlife Trust are currently building an Education and Visitor Centre at the Naze which will be open early next year. To follow its progress you can join the EWT the Naze facebook page. To visit the Naze Tower website click here. I hope that you are intrigued enough by this place to make the journey to Essex to experience it for yourself. It is certainly one of my favourite places. I would be intrigued if you could comment below letting me know your own favourite places. Favorite places… I’m glad you made that plural. I’d have a hard time trying to settle on a single favorite place. The home farm where I grew up would be high on the list – but it’s been developed into housing so there’s no going back. The Shawnee National Forest in southern Illinois is also a favorite. Beyond the reach of ice age glaciations the Shawnee is mostly rough terminal moraine and is comprised of dozens of ecological niches for all sorts of fauna and flora. There is even a cypress swamp within the forest. As an agriculturalist I also enjoy the well tended farmscapes that blanket our bread basket here in the States (also called the corn belt… but as a soybean guy I prefer bread basket 🙂 ). While it might require a bit more imagination to appreciate the plains of Kansas where wheat fields stretch from one horizon to the next – it is still a vibrant ecosystem. I’ve been privileged to travel over a good deal of the planet – particularly in agricultural regions. Reflecting on the many landscapes I have been able to witness first hand I have so many I can find great things to offer as their finer attributes. I guess if I could only pick one favorite place, it might have to be planet Earth. Thanks for this Clem. I agree that it is nearly impossible to pick just one favourite place. Planet Earth is a good one though! Fond memories of Walton, the Naze and Hamford Water, childhood holidays, sea-scout sailing and reading Ransome for over 60 years! Last there at least 10 years ago and hope it hasn’t changed too much.